There’s lots of terminology in digital audio that we’ve heard before, but aren’t quite sure what it is or how it works. If dither, or “dithering,” is one of those terms for you, you’re not the only one! Dither is routinely used in digital audio processing, as well as video data processing, and is frequently one of the final steps in mastering audio for CD. So then, what is dithering? Dither refers to low-level noise intentionally applied to randomize quantization error. The concept doesn’t just apply to audio, though. For instance, with images processed by a computer, dither is used to prevent what’s known as “color banding.” Color banding occurs when there are issues with computer graphics, with dither being applied to combat this effect. In audio, dither is applied when converting high-resolution files to a lower resolution. When reducing bit-resolution, quantization errors are unavoidable and can sound unpleasant (harshness, artifacts, etc.). Dither is a way of preventing these errors. Bit depth is a digital value determining the overall dynamic range available in a digital audio system. Each bit corresponds to 6 dB of dynamic range. Let’s discuss 24-bit as an example. Recording at 24-bit gives you plenty of headroom to get above that noise floor and still stay very far away from clipping your convertor. In a 24-bit recording, we have 144 dB of dynamic range to work with. Now that we’ve clarified how bit depth corresponds to dynamic range, let’s discuss quantization. In a PCM digital audio system, the amplitude of the output signal is limited to one of a set of fixed values, determined by bit depth. This process is called quantization. 90% of the final audio we listen to, on a CD or otherwise, is of 16-bit resolution. It doesn’t matter whether everything was tracked and mixed at 24-bit; the final product will almost certainly be reduced to 16-bit resolution (CD standard). So in the end, the digital audio data must be reduced to 16 bits for distribution. You (or a mastering engineer!) can discard the excess bits, or you can also round the excess bits to the nearest value. Neither of these results in a particularly pleasant recording, though, because there will most certainly be errors added by chopping off bits (or more importantly, reducing dynamic range). Using dither replaces these errors with a fixed noise level. RPDF: Rectangular Probability Density Function. Think of it a rolling a single die. Any value has an equal chance of occurring. Gaussian PDF: Think of this as rolling a handful of dice. The relationship of probabilities of results follows a bell-shaped, or Gaussian curve, typical of dither generated by analog sources such as microphone preamplifiers. If the bit depth of a recording is sufficiently great, that preamplifier noise will be sufficient to dither the recording. A 750 Hz sine wave sampled at 48 kHz and quantized to 4 bits using triangular dither. Colored Dither: Sometimes mentioned as dither that has been filtered to be different from white noise. Some dither algorithms use noise that has more energy in the higher frequencies so as to lower the energy in the critical audio band. For the most part, we don’t have to worry much about dithering, as long as we keep a few simple rules in mind. If you’re making music at a higher resolution than your playback device, it will sound terrible. In other words, make sure, if you’re recording at 24-bit, that your playback is at 24-bit as well. If playback is set to 16-bit, it will produce quantization errors and distortion! If you are producing at 24 and playing back at 16, then you should have a dithering tool in your processing chain. If you’re recording at 16 and playing back at 16, or 24 and 24, you don’t have to worry about adding dither to your signal. Finally, if you intend to have your tracks mastered, make sure you’re exporting at the same bit depth as your project settings! If you recorded at 24-bit and exported at 16-bit for the mastering engineer, you’ve already damaged your files before they’ve even gotten to mastering! Leave it to the mastering engineer to dither and ensure that your project sounds its absolute best when it’s ready for distribution! 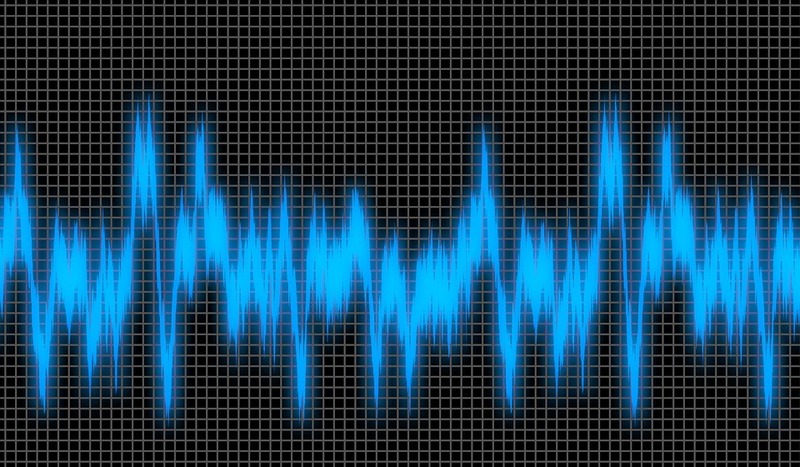 Tags Audio Processing Digital Audio Dither Dithering What is Dithering?